Please don’t be scared of me. Please don’t laugh at me. Please don’t ignore me. They annoyed me, ok. And I liked the feel of it. But I won’t bite you just for saying ‘Hi’. Well not today anyway! I am happy today. So you’ll be fine. So say ‘Hi’ to me. I might not look at you but I know if you are smiling. That takes skill that does. I know when people are scared of me. I know when they are laughing at me and ignoring me. I look like I am in my own world, flapping, screaming, making noises, walking up and down in straight lines. These things are great fun. But I know you are there. I’m not blind..well technically I am in one eye but you know what I mean! I can still tell if you like me. I’m autistic, not stupid. I won’t swear at you or be cheeky to you…I am non verbal anyway. I like attention. But not the attention most people give to me. Laugh with me, not at me please. I like licking things. OK, I love things in my mouth. Anything. Food, cardboard, plastic, wood, a dummy. Licking tables, chairs, clothes, windows. I’m different. But you are different to me too. And I don’t laugh at you…well sometimes I do but I do it in the middle of the night when no-one knows what I am thinking about. I laugh good and hard then. Roll about the bed laughing. Your sameness is hilarious to me. I love my sister. She is a right fussy eater but it’s great. I’ve trained her to leave as many leftovers for me as she can. I’ve worked out that dad likes a cup of coffee before clearing the dinner table. I’m doing him a service really by eating all that food before it goes in the bin. Saves me raking in the bin for it later anyway. It’s kind of like my way of washing the dishes. Mum never let’s me do it when we go out though. Wish I knew why. My sister is funny. 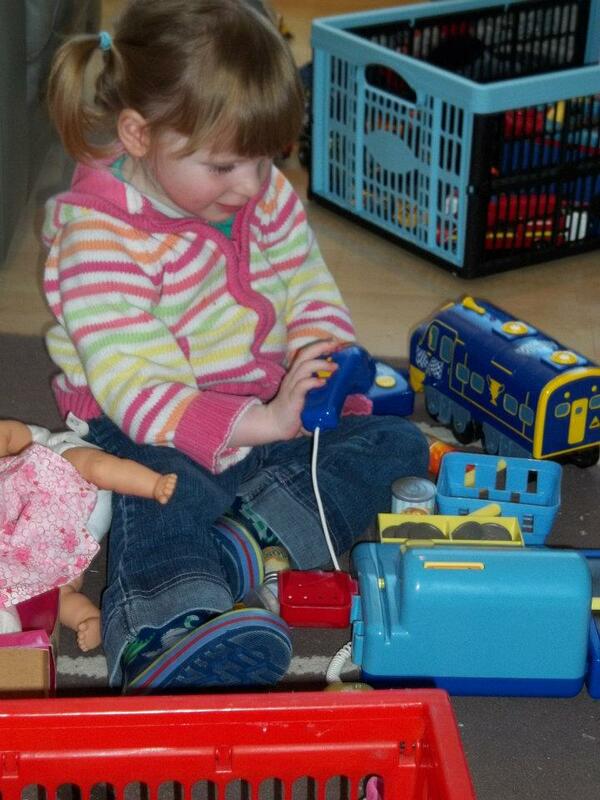 She puts toys on the floor and talks to them and stuff. I keep showing her that you lick them and scan them and chew them but she keeps lining them up and moving them about and cuddling them. She even gets these funny ones and puts them all together like to make some picture thing. Like 20 pieces of cardboard. What a waste of good chewing material that is. I ate a few. That soon stopped her. She’ll get them back soon enough. Did you know stuff comes back out you? Quite smart that! You know what though I love winding her up. She loves this mad thing on TV. 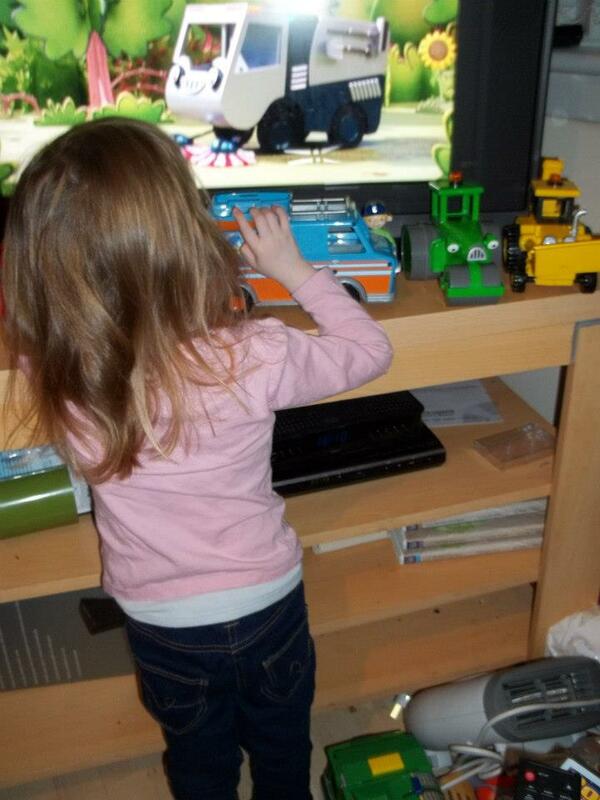 “Topsy and Tim” I think she callls it. Rants about it all day. TV is only good if it’s about food. Or something red like Elmo. Everything else is just mumbo jumbo. So I sit in my ball pool full of plastic food. And when I hear that theme tune I rummage and rummage and rummage. Oh that’s a great noise that. Drives her nuts. Makes me laugh. Mum tells her I don’t know any better. Oh I love that mum thing. That mum thing. Well she is just the best. I raid the fridge, she opens the stuff for me. OK, so I have to look at her and look cute and all that and she says that thing that she keeps saying “Isaac, open”. That just means I get to have it. See you know what to do mum so why ask me? I give her a picture, she gives me the food. Hey, this woman is the bizz. She totally gets me. I have her sussed. I cry, she cuddles me. I pull my top off and scream long enough she gives me that fab red jumper thing I love. She makes that car thing go too. She turns that hard, cold food I eat out of that freezer thing into something even better. She cuddles me. Even when I’ve screamed at her. I’ve even bit her…just to see if she tasted as good as she seems. I’ll stick to licking her and pulling hair though. and pushing against her. She always says my name when I do things like that. That must mean she loves it the same as I do. She can even make that ipad thing work. How amazing is that! She’s great to wind up too. My favourite game is watching her run down the street after me. She loves that. Well she picks me up and takes me back home so I think she wants me to do it again and again. I’m helping her exercise. I think she has had enough sometimes though so to help her out most days I just lie on the ground and scream instead of walking. I don’t get why people walk when those things with wheels can take you. Those things are fabulous. But why do they stop? And why would they go backwards? That is just crazy. You get in, chew that belt thing, go where I want and just keep moving. Simple. I make it easy by telling you when you are not doing it right. Listen to me screaming. I’m telling you to keep moving and go the other way. You know the way that guy does in that blue car thing I go in. The one I go in with my bag and red jumper on?They take me to the right place every time. I have them trained. I’m still working on dad. He’ll learn one day. You know I want to go to that place. With Sonia and Tricia. Where they feed me, let me go outside, take me swimming, give me an ipad to lick and play with, let me climb on thier soft play. That’s a great place that. The red jumper place. I chew my red jumper thingy so they know it’s mine. It’s so comfy and nice and warm and…tasty really. They make good dinners there. And I know what is happening. I am happy there. I don’t bite there. They talk to me there. They accept me. I wish you would talk to me. Touch me. Play with me. Blow me some bubbles. Chase me down the street. Flap with me, make that ipad thingy go for me. Give me food. Put that red jumper thing on me all the time. Help me take these shoe things off. They irritate me. Why do you all wear them anyway? Let me turn your taps on, splash with me. laugh with me. Smile at me. Say my name. Don’t be scared. A poem I wanted to share with all my loyal blog fans. Did I ever make that coffee before I fell into this seat? If only he would understand, it’s only half past three! That a child could be so happy in the middle of the night? It’s because they ate their breakfast in the middle of the night! P.S. He certainly wasn’t getting any of those chocolates no matter how tired I was! When I was young it was all about me. And then one day I got married. And it became about me and my husband. It stayed like that for far longer than it ever should have been, but then we became parents. And life no longer became about us but about two little children. For five years life has now been all about them. 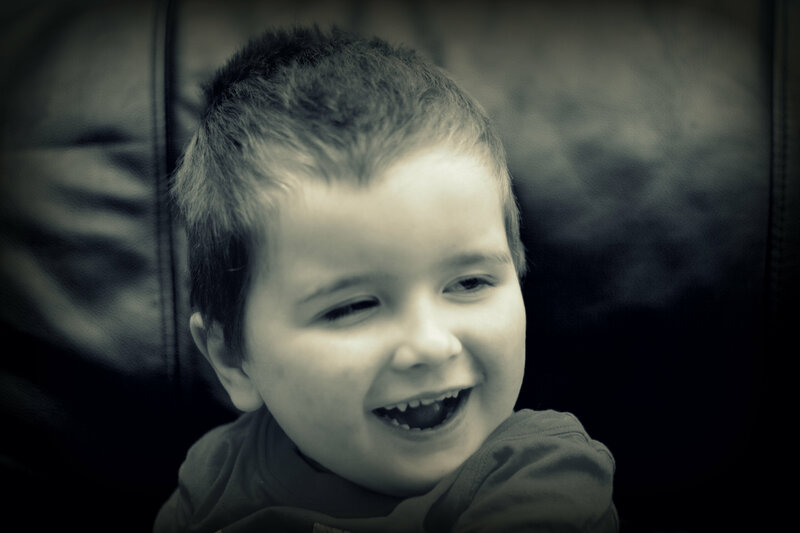 Even more so than many other parents as both my children have additional needs. They both have autism. 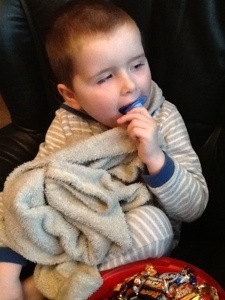 One also has seizures, global developmental delay, neurofibromatosis type 1 and is vision impaired. No-one would judge us for it being all about them. Hospital appointments, school and nursery events to attend, therapists to liaise with, courses to attend, medications to be administered, nappies to be changed and so on. It could so easily be us four and no more. But life is bigger than that. So I open my life up to others. I am on social media outlets, I attend groups and courses and meet other families going through some of the same things we are. I take the children to clubs for other children with autism. I blog. Because I care about others. I can learn so much from the road that others have walked before me. As a family we have negotiated some tricky terrain that has only been possible through the help and advice that others have given. Together we are stronger. Our breakthroughs become others breakthroughs and give others hope. Hearing other families achieve in areas we are still struggling with gives me hope that all things are possible. Even if I can not directly identify with thier issue or offer advice I can cheer them on, celebrate with them, encourage them. We can pray for each other, stand beside each other, link arms. I could easily close my social medai accounts, stay at home with my children, not answer the telephone, stop blogging. But I would suffer. And I believe others would too. Not because I think I am someone special. But because there is something powerful and stronger about supporting others, praying for other people, looking out for someone other than yourself. I am a people person. I comment on social media because I care. I listen to your struggles because I care. I blog because I care that someone might no longer feel alone after reading my blog. That someone may be helped by a strategy or therapy that helped one of my children. That some other family might identify with what we are going through and be encouraged. So I am happy for the National Autistic Society to use us on their website (http://www.autism.org.uk/) The boy with the bubbles is Isaac. It’s about how many other families that will be able to access the help we did as a result of campaigns like this. It’s about someone else knowing they are not alone in this journey. It’s about encouraging others that progress can and will come in time. Sharing your story is not about you. It’s about humility and vulnerability. It’s about giving of yourself, even when emotions are raw, knowing you are not alone. It’s about real life and daily struggles. It’s the public recording of a journey. A journey that others can adopt as thier own, identify with, run with, be encouraged by. It’s about awareness. It’s about helping just one person. The sleepless nights, the endless screaming, the loss of the one word he took over 4 years to say, the yearning to see my babies walk, the pain of seeing my son have seizures, the broken heartedness of getting diagnosis after diagnosis, the fighting for thier educational needs, the public comments that crush my Spirit, the constant appointments. If one person is encouraged by this blog it is worth it. We don’t all have to live our lives in public to help someone else. We don’t even have to be on social media. But someone somewhere can benefit from the journey you have walked. Someone can benefit from your friendship, your encouragement, your prayers. Someone can feel less alone just by knowing you care. Someone’s life can be changed by you. It’s not really about autism. It’s about others helping me and me helping others and being there for each other. It’s about not feeling alone or isolated anymore. It’s about rejoicing with others as they rejoice with me. It’s about walking beside each other hand in hand. It started with two little children but now it’s about hundreds of others. It’s about so many other things. But it’s definitely not about ME! This week marked one of those milestone moments..Oh yes it was my twins fifth birthday but it was also the moment of me realising that after 5 years I finally ‘get it’. I am finally understanding, even embracing my children’s autism. 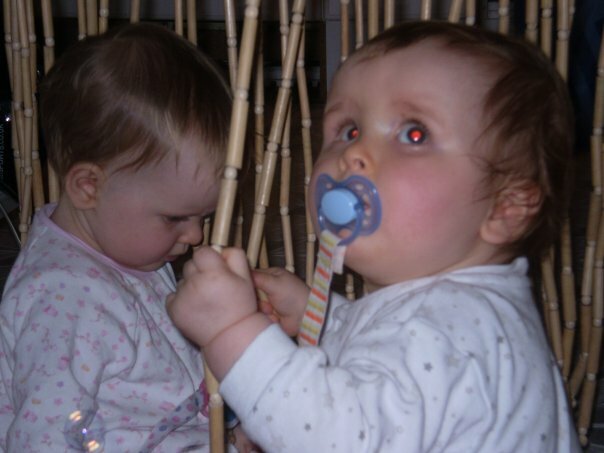 November 2009 – my longed for, hoped for, prayed for twins have their very first birthday. Like all parents we want to spoil them and buy them all we can. But they had only just mastered sitting, neither of them were self feeding and neither of them had any words. Nothing to worry about. They were born a little early, there is two of them to care for and all children are different. So we bought them musical toys, activity centres, wonderful books and little cars to sit on. All children are like that at that age, right? November 2010 – I long for sleep, I hope for my babies to look at me and talk to me, I pray I will one day see them walk. But I am worried. One can’t even pull herself to stand yet. 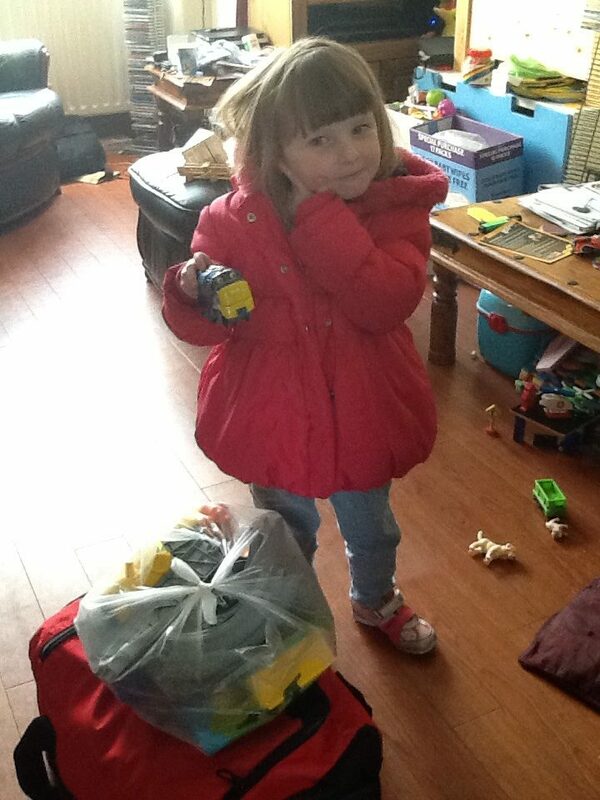 So I buy them push along toys, brightly coloured building bricks and sorting toys and a ball pool to explore. 8 weeks prior we had first heard that word mentioned. You know, that ‘A’ word that would go on and define our lives. That six letter word that brings fear and tears in equal measure. One child was terrified of the ball pool and cried at all the noisy toys. The other just screamed. And screamed. And screamed. That day was the lowest I have ever been. Because something had stolen my children and I could no longer be in denial. Yes one was looking at books and babbling. But the other was lost. There are no pictures to depict that day. It is a lost day. Because my son was lost by then. And his twin sister damaged by the ‘A’ word I just couldn’t bring myself to utter. Just 7 weeks before Christmas and things were so bad we cancelled Christmas. No tree, no decorations, no presents. My children, especially my son, could not cope and therefore neither could we. Drastic? yes. Necessary? yes! It took a year for us to face the press but it was our lowest moment and everyone read about it the year later. The cuteness of playing with the kitchen beads was now a frighteneing reality. A year later when that article was printed our boy had only just started walking. And there was still no words. Curse those kitchen beads! 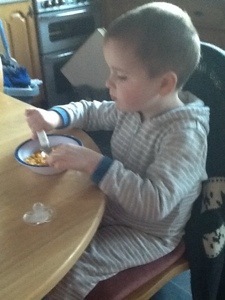 November 2011 – I’m still longing for sleep, hoping to hear my sons voice and praying for those first steps from him. But I am learning much more. My faith is stronger. I listen to others who have walked this path before me. The children are in nursery. But still neither asks for anything for thier birthday. But in the 365 days since the previous birthday I have watched them and I have read book after book. 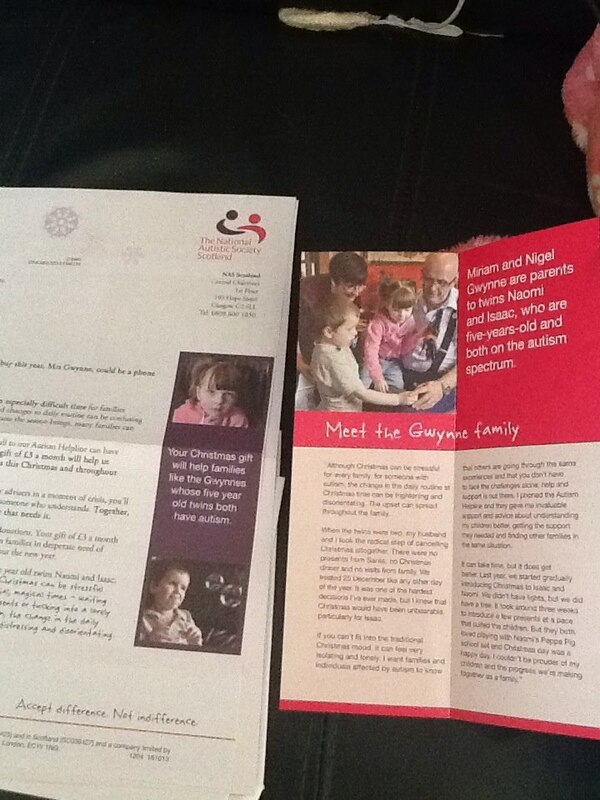 I have cried on the phone to the National Autistic Society. And I have an idea. It might just work…anything is worth a try. So wrapping paper is banned. Singing happy birthday is banned. Banners and balloons and anything out of the ordinary is forbidden. 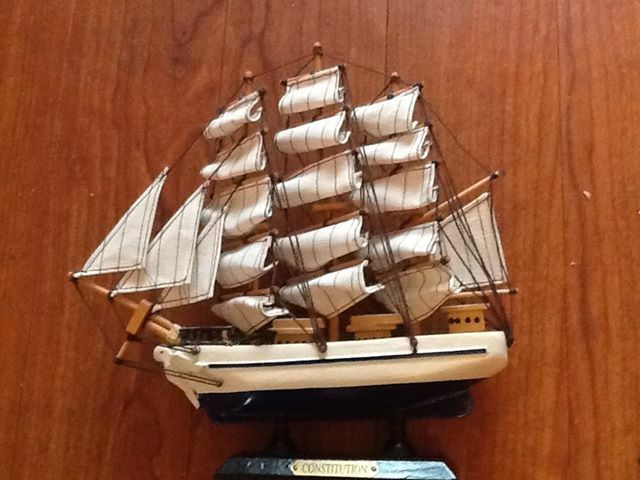 I buy the kids imaginative toys and games and dvd’s and books. But instead of wrapping it all I actually take everything out it’s packaging. And each child has one plastic box of toys. 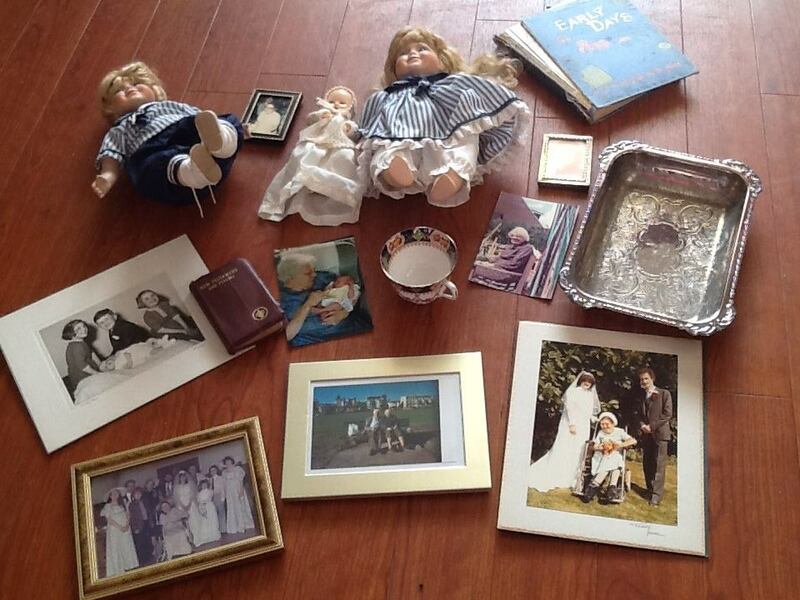 The boxes get hidden under the coffee table. If Isaac can’t cope it will just be like any other day. But if I can just slide that box out a little…then a little more…well who knows? And it worked! 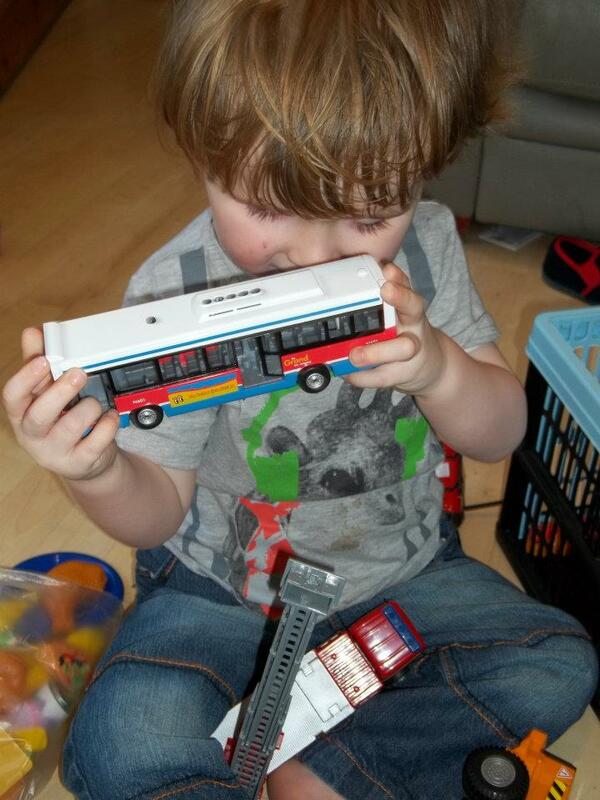 By the end of the day he was scanning his new bus across his eyeline like it was a toy he had always had. I’m beginning to get it! I’m starting to live the autism life. And finally the screaming is beginning to settle. And shortly after this event I swallowed that ‘pill’ and embraced the fact my son was leaving mainstream nursery, where at 3 he was still in a baby room, and about to attend a special needs nursery. Maybe if I had taken them away from those beads two years ago…or maybe it was always there and I just wasn’t willing to see it yet? barefoot. Oh yes, barefoot. Always. I wasn’t even sure what shoe size he was. He was diagnosed by now and I began to choose my battles. So barefoot he was. But I still wasn’t quite getting it. Some of those toys were given away just weeks later. No straight lines. Not sensory enough. I should have stuck to his beloved sensory toys. But there was still a part of me wanting to fight that autism. I think it might have started with those straight lines of those kitchen beads you know! November 2013 – longing for others to understand my beautiful children. Hoping there is more awareness and acceptance of autism as each year passes. Praying for those amazing people who are doing wonderful things working with my children and others like them. I have watched the children so much. I have interacted with them. I have read the books again. And attended courses. And got so many professionals on board there wasn’t enough room to list them on thier disability living allowance forms. I actually fought to get Isaac into a special needs school. I was willing to blog about it. I was happy to admit his needs were severe and complex if it ensured those needs were met in the right environment. I get it. I accept Isaac might not speak. I have covered my kitchen cupboards in photographs of his favourite snacks. And he brings those pictures to me. I have limitted my language. I wait for him to process what I am saying. I use sensory toys to motivate. 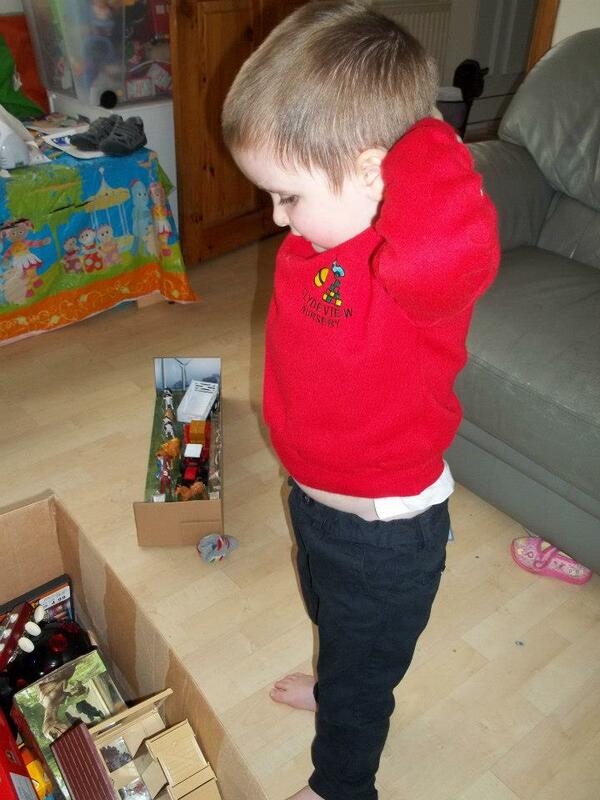 We allow him to wear nothing but red jumpers because that is what he wants to wear. Autism is no longer something to be feared. It is something I embrace. I accept he needs a little melatonin to help him sleep. I admit Naomi needs medicine to help her poo. I still change nappies. And use bottles and dummies. But I know things are progressing. And if birthdays are still a box each with all the toys out of packaging then so be it. We can now sing happy birthday quietly. We are happy to buy the children what they want however different that may be. 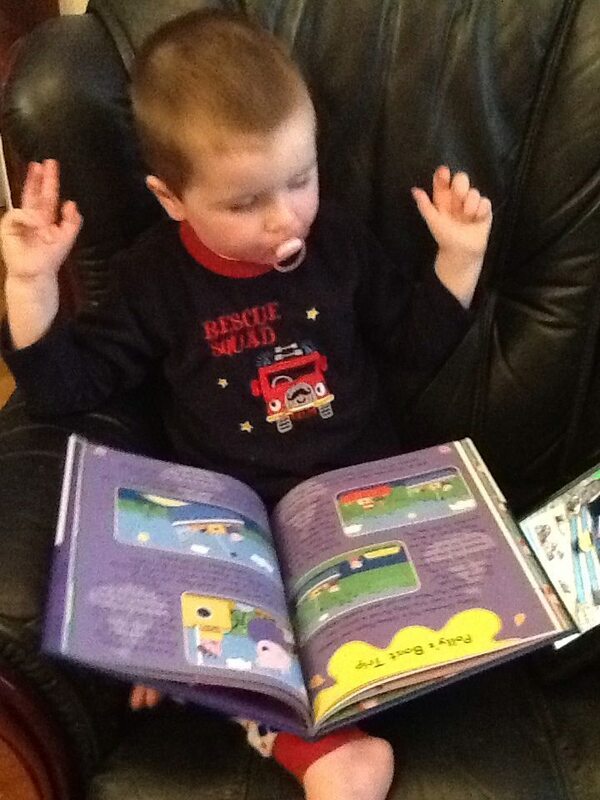 and Isaac got a Peppa Pig annual from two years ago and even takes it to bed. He doesn’t know it isn’t up-to-date. But he knows it is his…and that is progress. We had a very contented 5th birthday. I sat with Isaac. We had one-to-one interaction and he learnt how to put the marble in his new marble run much to his delight. I coloured in with Naomi. 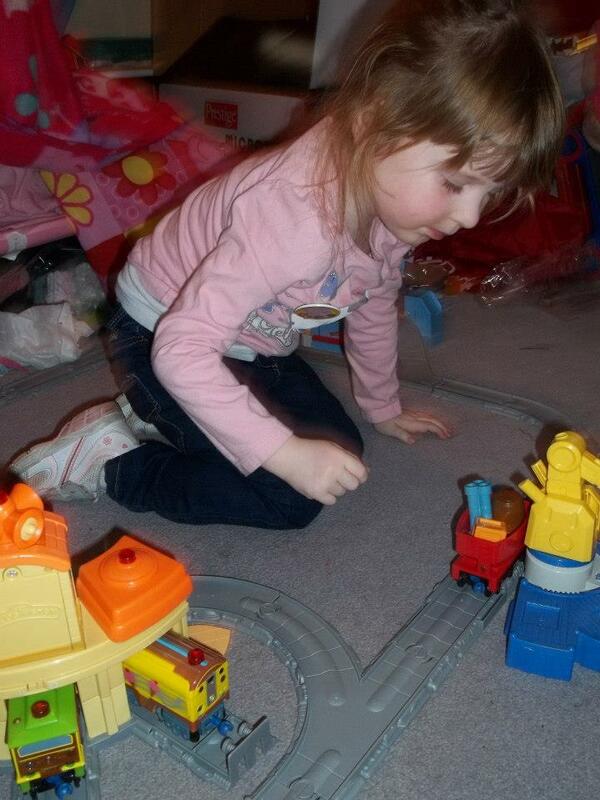 And played trains with her. And watched numberjacks over and over. I wasn’t sad to purchase toddler toys for a 5 year old, or embarrased that my son loved the feel of his sisters barbie dolls dresses. And it didn’t surprise me when Naomi gave me one of her toys back and told me she couldn’t have it yet. Because she had been working for that £5 toy for three weeks sitting on the potty having stories and she still had 2 squares of track to move her trains before they all got home. And the rules are you don’t get the toy until you have completed the reward chart. Oh yeah. The rules of autism. How could I forget? The kids have moved on so much in 5 years. But so have I. And you know what? I am actually thinking of buying the kids some wooden hanging beads just like the ones they loved back on thier first birthday. They might sit under them and play. They would certainly enjoy the noise of them and the straight lines and the shadows each little bit makes and the way they move, the feel of the shapes, the way they hang. There is no eye contact involved. No social interaction needed. No words needed. Just them being them. And I finally get it. It’s the week of my twins 5th birthday. For many years I only dreamt about ocassions like this. I would see parents standing at the cake aisle in the supermarkets struggling to choose which cake to buy, or wandering around toy stores aimlessly wondering what their children would like this year. And I envied them. My heart longed to hold a child, love a child and raise a child. I prayed for my children before they were born. They were very much pre-loved. They were a dream, a hope, an answer to prayer. 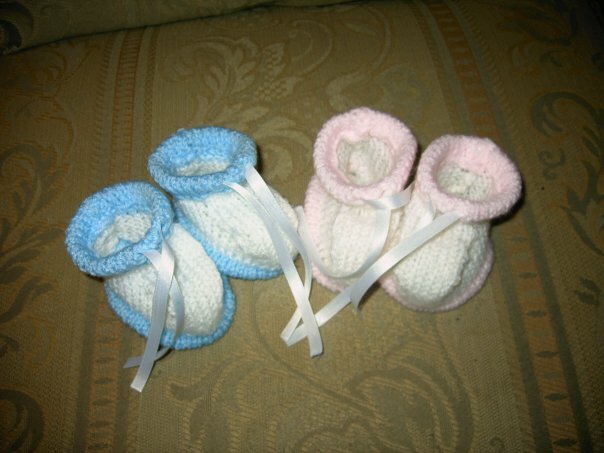 I even knitted for them before I even conceived. And now 8 years after these booties were knitted I am celebrating the miracle of my children turning 5. And this week has been a week of realising how pre-loved and still loved my children really are. These booties are significant in that they represented my faith that one day my dream would come true. I had just been told that it was impossible for me to have children. But nothing is impossible in life. And I need reminded of that sometimes. Because both my children have autism. Isaac is reaching 5 years old and still isn’t speaking. 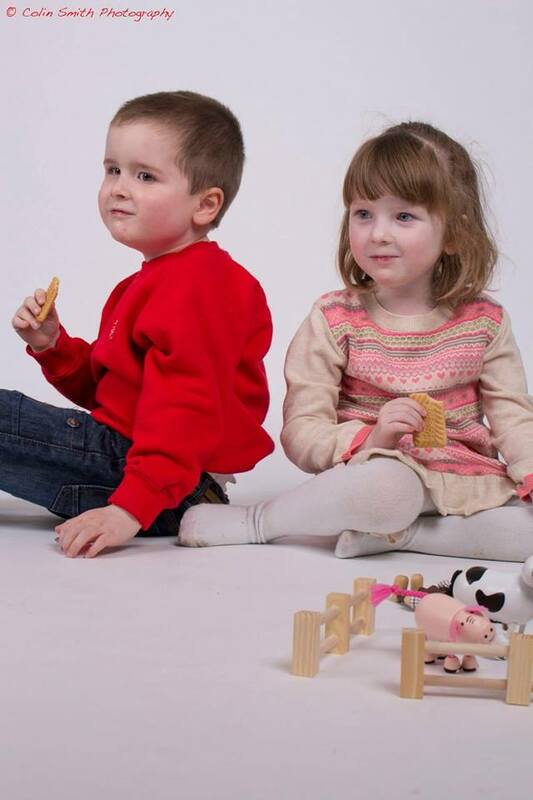 Neither of them can jump or stand on one leg, or ride a trike, Isaac still can’t do shape sorters for toddlers, or hold a pencil, neither of them can dress themselves and both of them are still in nappies. But looking at these tiny booties reminds me how blessed I am and that there is so much amazing things in store for these two miracles. They were pre-loved and they are still loved and together we have come so far in the last 5 years. This last week Naomi had her first overnight stay at her gran’s house. It brought back amazing memories for me of the times I spent with my grandparents as a child and how this impacted my life. And it reminded me that it really is people who matter more than things. My children will never know either of their grandfathers as both passed away prior to them being born. And thier other gran is in a nursing home over 400 miles away. Family is precious. 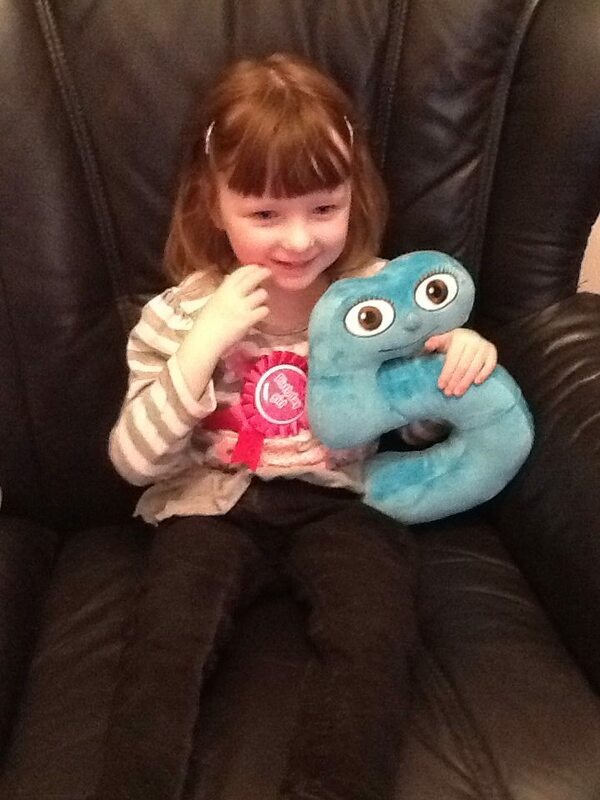 And I know gran benefitted from time with a soon to be 5 year old as much as Naomi and mum and dad benefitted. Gran taught Naomi the simple pleasures of cooking together, walking a dog, and reading stories together and Naomi taught gran the names of every train in Chuggington and the importance of putting the right coloured lid on the right pen! And because these things are important to them both the love was strengthenend between them. Pre-loved and now still loved. For once this week life hasn’t been about milestones not reached, or hospital appointments, or therapies or sleepless nights, jumpers getting eaten or trying tomato ketchup for the first time. And I am no longer worried what I can buy for two very different children at opposite ends of the autistic spectrum for thier birthday. Because they have something money can’t buy. And so do you. Did you know you were loved even before you were born? And you are still loved! Your life is worthy and part of something bigger than you. 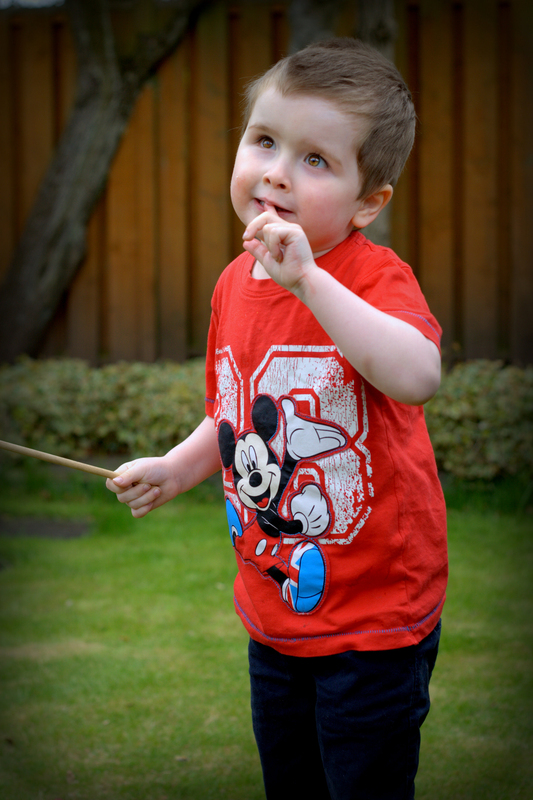 It makes no difference that my children have disabilities this week. We are celebrating together the wonderful fact they are here and they are special. Pre-loved and very much still loved. And always will be loved. I wonder if the modern toys will last as long as these old dolls have?